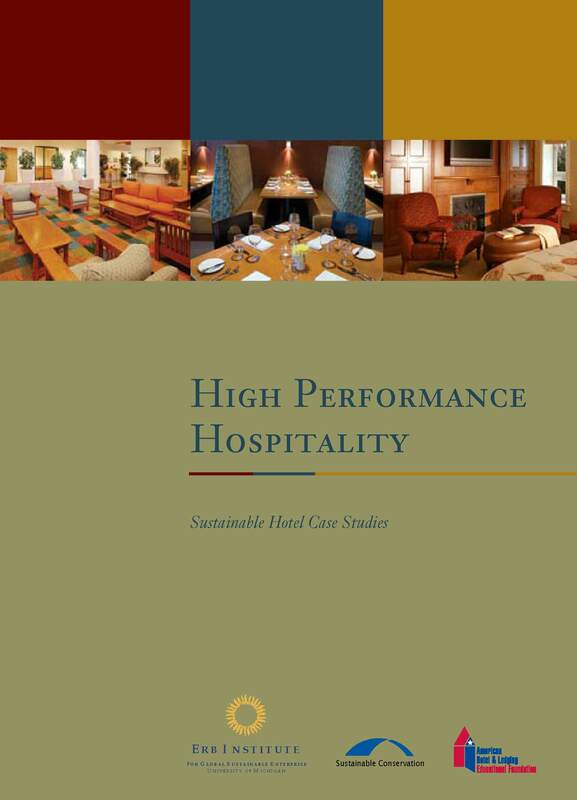 I had the chance to catch up last month with Amisha Parekh and Michele Diener, two of the three authors of High Performance Hospitality: Sustainable Hotel Case Studies, a lodging industry textbook. At a time when the Westin is launching its Element line and other hotel chains are playing up their “green” credentials, this book is the first in-depth analysis of the business case for sustainability within hotels. Amisha and Michele, who also wrote the book with their friend and classmate Jaclyn Pitera, met while they were dual-degree students at the University of Michigan’s Ross School of Business and the University’s School of Natural Resources and Environment. This book was the outgrowth of a joint master’s project. Michele currently serves as the Director of Sustainability Strategies at MGM Mirage, Amisha is a strategy consultant for Deloitte, where she is part of the firm’s sustainability team, and Jaclyn is in her third year of the joint program. The authors studied very different hotels, balancing their selection across a number of variables, including size (90-900 rooms), price (mid-rate, convention, luxury), location (urban/rural), diamond rating, guest type (transient, government, business, conventioneer). In addition, they also considered whether the hotels, all of which are in North America, were existing vs. new buildings, as well as branded versus independent. However, all were considered green in some respect. If you’re interested in reading a portion of the book, here’s a link to downloadable chapter, which includes the book’s foreword, executive summary, as well as a case study on the Comfort Inn & Suites in Boston, MA. There has been increasing news about “green” buildings, and the importance of LEED Certification. 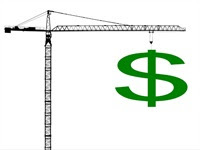 I was on the U.S. Green Building Council’s website last weekend (USGBC oversees the LEED system) and came across a news release on a study done by CoStar Group, a leading real estate research firm, on the financial benefits of building “green.” The findings were pretty interesting, and underscored the importance of “green” business practices. Below please find the first part of the report. A new study by CoStar Group has found that sustainable “green” buildings outperform their non-green peer assets in key areas such as occupancy, sale price and rental rates, sometimes by wide margins. The results indicate a broader demand by property investors and tenants for buildings that have earned either LEED® certification or the Energy Star® label and strengthen the “business case” for green buildings, which proponents have increasingly cast as financially sound investments. According to the CoStar study, LEED buildings command rent premiums of $11.33 per square foot over their non-LEED peers and have 4.1 percent higher occupancy. Rental rates in Energy Star buildings represent a $2.40 per square foot premium over comparable non-Energy Star buildings and have 3.6 percent higher occupancy. And, in a trend that could signal greater attention from institutional investors, Energy Star buildings are selling for an average of $61 per square foot more than their peers, while LEED buildings command a remarkable $171 more per square foot. Andrew Florance, president and CEO of CoStar, called the findings a “strong economic case for developing green buildings” at a recent seminar hosted by the District of Columbia Building Industry Association (DCBIA) where he presented results from the CoStar study last month.